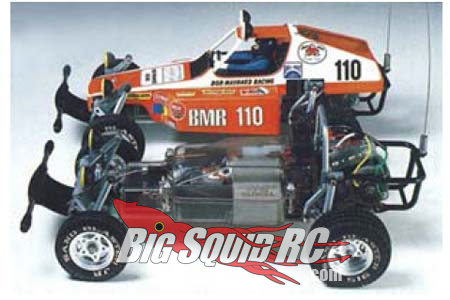 Tamiya Flashback « Big Squid RC – RC Car and Truck News, Reviews, Videos, and More! Tamiya and Vintage RC fans rejoice! The Buggy Champ is being re-released to celebrate it’s 30th year anniversary. The re-release is faithful to the original, with metal parts and the trick trailing wishbone front suspension. A few tweaks have been made to make it perform better, but overall it will be arriving just as it first did in 1979. The new Buggy will feature full ball bearings, improved front hubs, reinforced front uprights, and much improved oil shocks. Staying true to Tamiya tradition, the kit will come in the original blister pack boxing. If you have never built a kit before, this is the time to try it!